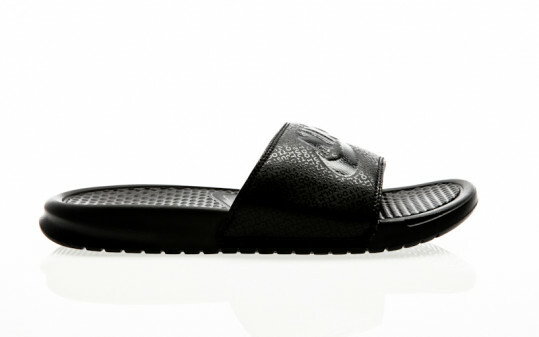 The design with a two-tone, single carrier gives the Nike Benassi "Just Do It." Women's sandals a summery touch. The lightweight foam midsole and outsole provides a comfortable, soft feel that will make you feel comfortable everywhere. The foam padding on the artificial leather carrier ensures high wearing comfort. Phylon foam in the middle and outsole for lightweight cushioning. There is a color-coordinated "NIKE" logo on the strap and footbed.